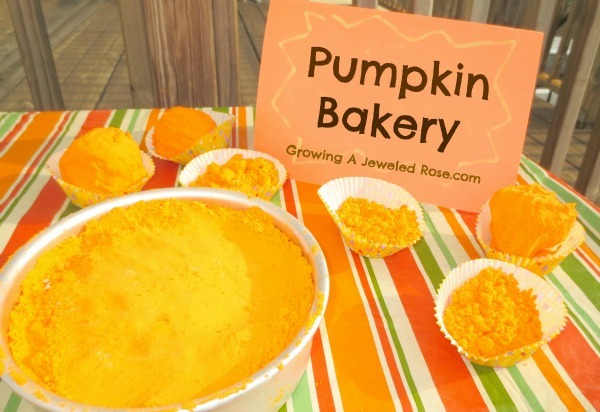 In the Fall I love all things pumpkin! 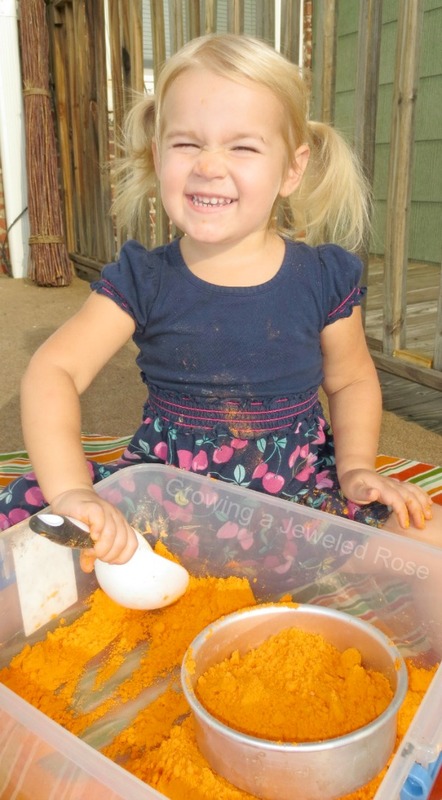 With that in mind I combined a few ingredients to make a fun dough for Rosie to explore. 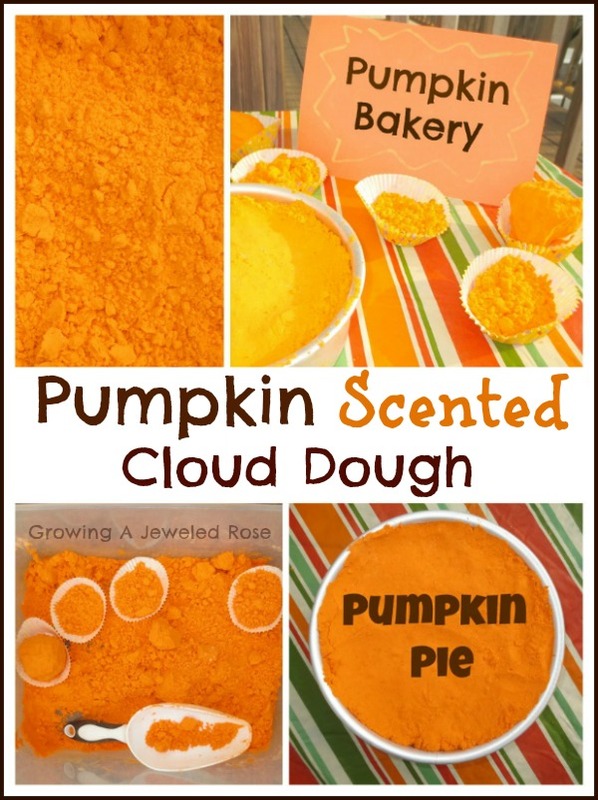 This pumpkin scented cloud dough turned out awesome, and it was so easy to make! Cloud dough is an incredibly fun dough for kids! It is squishy, mold-able, and SO SOFT. It can also be stored after each play time and used again and again! Are you ready to make your own? 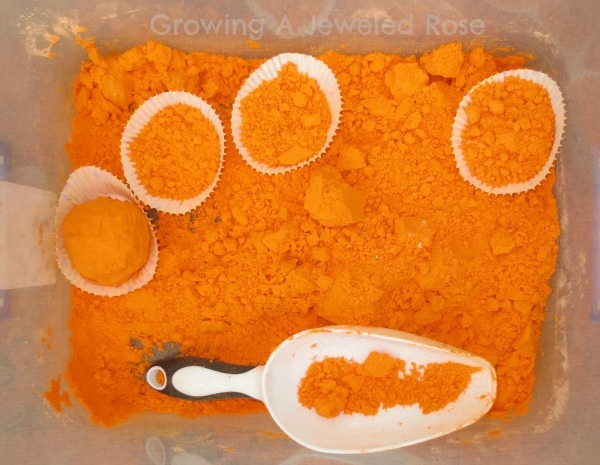 Combine the dry ingredients in a container or bin and mix well. Once the cloud dough is mixed well it is time to PLAY! All of the creations she made smelled just like pumpkin pie, too! 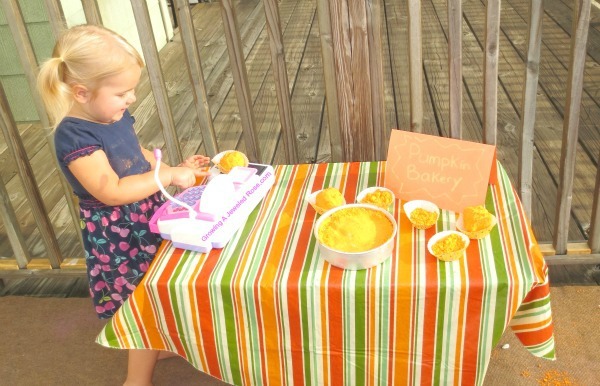 After she played for a while she decided to open up a pumpkin bakery. This was a great way to extend the activity. 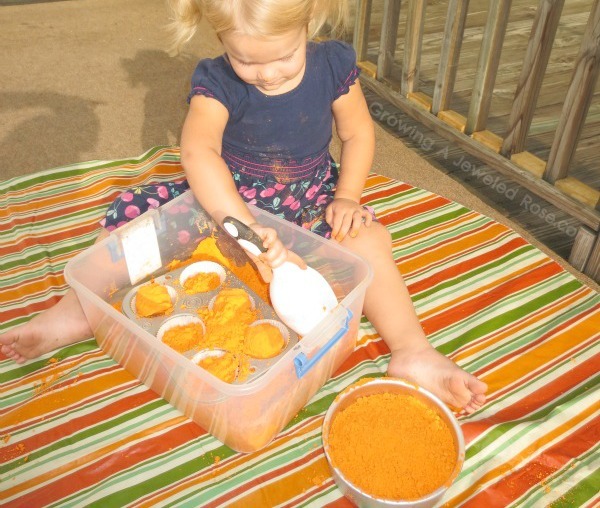 Store your cloud dough in an airtight container between play times, and it will stay good for several months! 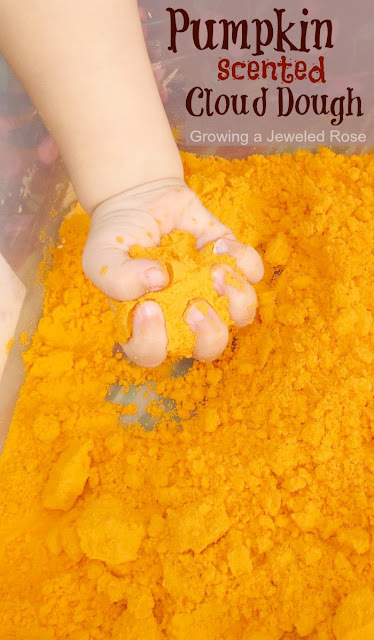 A tip: If you do not have powdered paint on hand and would like to color your cloud dough you can use crushed sidewalk chalk. All you have to do is place a few pieces of chalk in a zip-lock bag and hammer it until it is a fine powder. Then combine the powder with the other dry ingredients before adding the oil. Check out our Autumn Pinterest board for lots of other fun Fall play ideas, and don't forget to follow us.